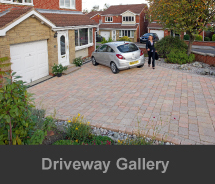 A bespoke home garden paving and patio just for you, by Driveway Excel; Glasgow, Stirling, Fife, Edinburgh and surrounding areas. Create an entertainment and relaxation area in your garden with the help of our team of hard and soft landscaping experts. 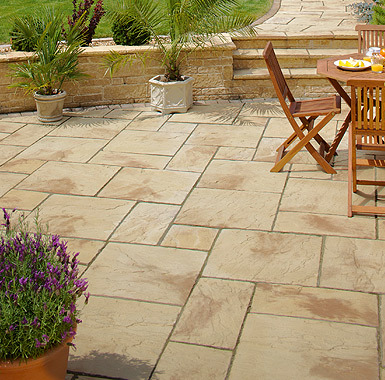 We have all the right people to design and create the perfect patio to your own specifications. 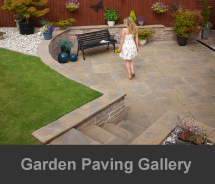 No matter the size of your garden our team will guarantee to supply you with a stunning patio to wow your friends and family. Driveway Excel has years of experience in producing patio areas which add another dimension to any garden. Our design team can help you to make your vision become a reality, incorporating any features that you particularly like. 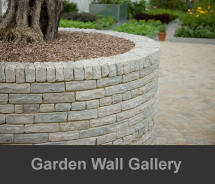 We use only quality material and product suppliers and there is a vast range of natural stone, monoblocks, handmade reconstituted stone, concrete paving or slabs to choose from. Our advisors will be happy to guide you through all the choices available and pass on their experience as to the different attributes of each, and our contract manager will see the project through from beginning to end. All our landscapers are professional and experienced. They will ensure that the ground is correctly prepared to give the perfect finish. If the mini digger is required for this preparation, we can assure you that our operator is a fully qualified JCB and 360 digger driver with full qualifications, including CPCS and NPORS registration (National Plant Operator’s Registration Scheme). All waste will be removed and disposed of as soon as your project is completed. All Driveway Excel work is guaranteed for your peace of mind. 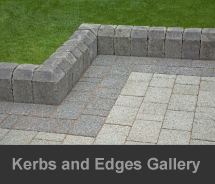 Contact our patio experts today on 0800 389 6797 or 07966 165998 for a free no obligation quote.